The first big screen adaptation of the children's book series, Paddington features the well mannered bear (Ben Wishaw) journeying from darkest Peru to London in search of a home; he is briefly adopted by the Brown family, but they insist his residence is only temporary. 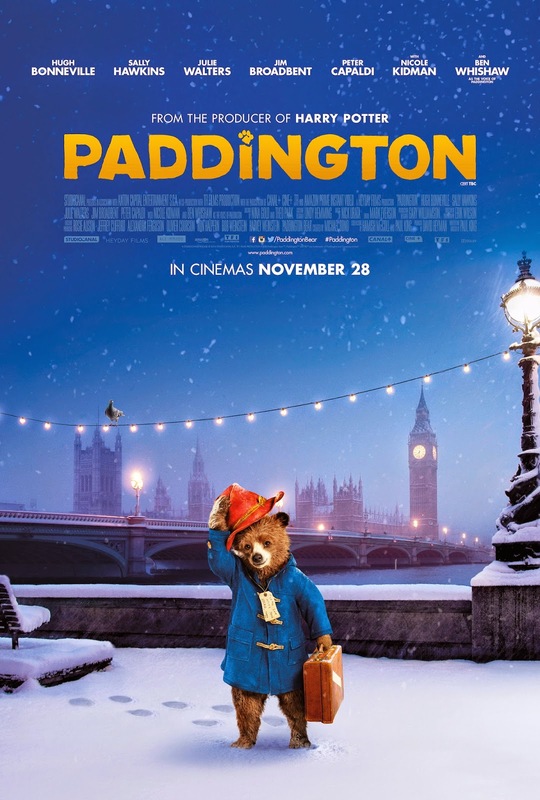 As they assist him in his search for a permanent home, Paddington's prospects face trouble as his nature for causing chaos ensues; and as his presence attracts the attention of cruel exotic animal hunter Millicent (Nicole Kidman). Being the most expensive film by StudioCanal with a budget of $50 million, Paddington no doubt has some spectacular visuals - which effortlessly bring this childhood icon to life on the big screen. With a combination of animatronics and CGI, Paddington is beautifully animated; and the charming voice by Ben Wishaw only helps to convey the warmth of the character. All his traits are there; his obsessive politeness, his habit for accidents, and his love of marmalade - and it's all suitably updated for modern audiences. Though some feel underdeveloped, the lineup of human characters are just as likeable; particularly main stars Hugh Bonneville and Sally Hawkins, as well as Nicole Kidman as Millicent, the quirky villainess. But even with those members aside, Paddington also boasts a solid supporting cast made up of Jim Broadbent, Julie Walters, Peter Capaldi, and the voices of Michael Gambon and Imelda Staunton. The script is genuinely funny throughout, with jokes appealing to both adults and children, but none that feel inappropriate; and this dual appeal, as well as the films heartwarming storyline, allows it to be one of this years most endearing family offerings.